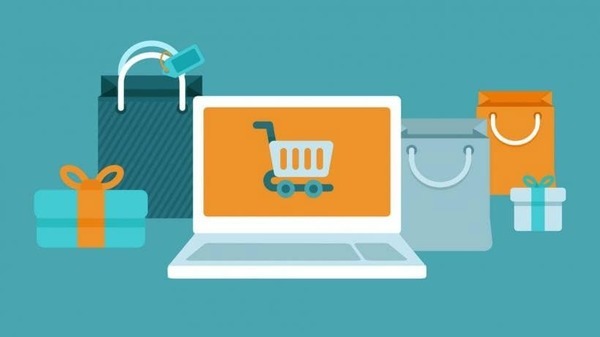 Today’s e-commerce landscape has never been more competitive as it is today as consumers all over the world become find more ways to connect to the internet from anywhere and everywhere. The mobile revolution has seen more consumers heading to search engines and websites to browse and find products they want and need with options to make purchases from anywhere in the world from the comfort of their own home simply because it is quick, straightforward and easy. However, for online retailers this means there’s more competition than ever and generating new sales and opportunities to maximise have become increasingly difficult. Regardless of what products are offered for sale online, e-commerce website owners and managers are driven to increase sales, customer retention and maximise profits. The increasingly complex nature of maximising the e-commerce opportunity has seen retailers push the boundaries from price personalisation and omni-channel marketing to same day delivery and automated checkouts but the fundamentals for remaining competitive for any business remains the same and especially so for e-commerce focused businesses. One thing that will set your business apart from competitors is providing excellent customer service. Mistakes and errors are unavoidable when selling online and at one point or another you’ll find yourself faced with a customer who has received the incorrect item or someone who is unhappy with the service. This is the time to ensure your customer service skills are up to scratch. Customers understand that problems occur but it’ll be the way you resolve the issue that’ll turn them into a repeat customer, and repeat customers mean more sales. More and more people are using the internet to shop, which means your online consumer base is larger than ever. However, that also means you’re faced with a lot of companies offering similar products. When shopping online consumers are looking for a quick way to get what they want; this means easy searches, quick loading pages and simple payments. If your website is easy to navigate and simple to use, you’ll have people making return purchases. Nobody knows your customers better than you, so be sure to market to them specifically. Stock products they like, push popular items and use email marketing to encourage them with deals they will be interested in. Boosting sales online is all about driving buyers to your website. There are a lot of different tools available that can help to boost sales, many of which go above and beyond what you would be able to do by yourself. For example, Competitor Monitor offers price compare, price monitoring and competitive pricing services. It also keeps businesses up to date with the effectiveness of pricing. Whether you’re selling clothes or technology, there’s going to be another website that’s offering something very similar. The key to boosting sales is to offer the exact same product but at a slightly lower cost. Use Competitor Monitor to gain and insight into the prices your competitors are offering and to develop a pricing strategy that drives curiosity and increases sales and profits. A large percentage of ecommerce sales use a smartphone or tablet to shop online and therefore it’s vital that an e-commerce website is setup for mobile use. There are different ways to do this but most businesses create a mobile application or a mobile version of the existing website. This allows images, text and pages to be responsive to the screen size they are being viewed on. A poor quality mobile experience can deter a lot of consumers and this loses sales. Making a user feel special and taken care of can go a long way towards gaining a customer for life. Simple things such as offering rewards for spending a certain amount, sending out personalised emails and offering money off discounts all work well to make a buyer feel as though they are being treated as an individual buyer, rather than a sale among many. One of the best ways to get started within boosting sales online is to analyse your e-commerce service in comparison to your competitors. This type of competitor analysis could include automatch, a price tracker or price spy; all of which are possible using Competitor Monitor. Find out how Competitor Monitor can boost your sales by requesting an online demo and see it in action for yourself. For any questions contact us today online.